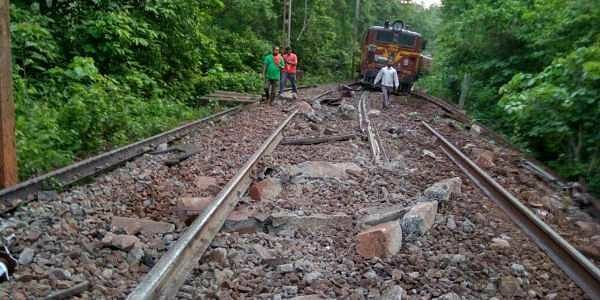 The incident occurred when Maoists uprooted tracks between Bhansi and Kamaloor, leading to derailment of its engine and eight wagons that fell off a bridge on a small rivulet. RAIPUR: Maoists uprooted and removed railway tracks between Kamalur and Bhansi area leading to derailment of around 24 freight wagons and three engines at strife-torn Dantewada district, some 460 km south of Raipur during the early hours of Sunday. 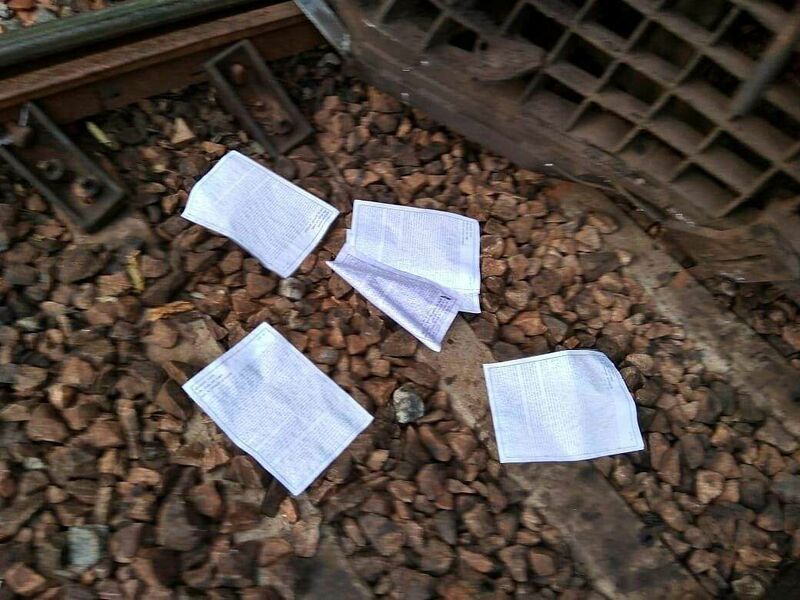 The rebels had left pamphlets beside the derailed engines and nailed some posters on the trees. The contents of their leaflets could not immediately known. Naxals also reportedly snatched away the walkie-talkies of the goods engine driver and the guard before fleeing into the nearby forest. "A team of railways traffic have reached the spot for ground inspection of the site and began exercise on putting together the damaged tracks. As many two dozen goods wagon and three engines were derailed leading to major disruption along the route", the railway traffic inspector Harendra Prasad told the New Indian Express. Security forces have been sent to the area to assist the railways to restore the services. There was however no report of any injury sustained by any railway staff. The outlawed CPI (Maoist) are observing anti-repression week from June 26-July 2. Besides the administration in the conflict zone of Bastar, the railways too are on high alert. The train services would be stopped on these route during the seven days as precautionary measures, the railways officials said. The influence of the protest week and repeated bandh calls by the Maoist has affected the usual hassle-free movement of the passenger train connecting Vishakapatnam in Andhra to Kirandul (Dantewada). The frequent disruption in the train service, many a times without any prior information, often irk the commuters who have no option except to keep their temper in control. The railways cited they have no option but to remain concerned about the safety and security of the commuters. Early this month four tribal women who were going to local weekly rural market were run over by a speeding goods train on a bridge in Dantewada district.